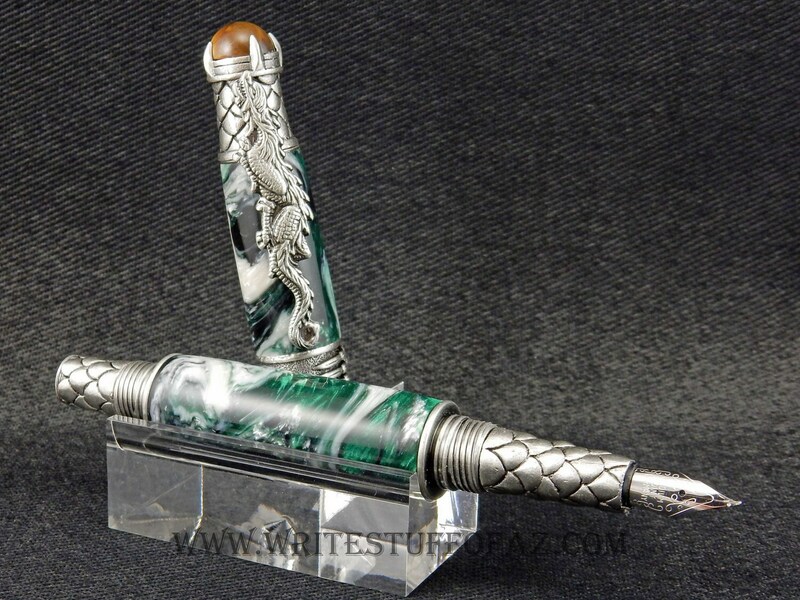 The pen has a twist-on cap, which posts to the back end of the pen in the same fashion. Upgraded Heritance nibs are installed on this pen and are available in both Fine Point and Medium Point. It uses either the pre-filled, disposable ink cartridges or the refillable reservoir (often called a converter) for use with your choice of inks. Both the pre-filled ink cartridge and the refillable reservoir accompany the purchase of this pen.